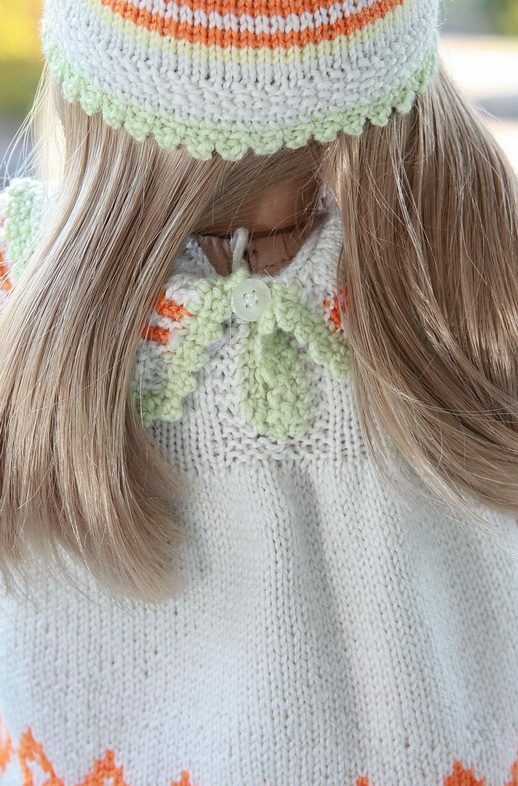 I wanted to try some different colors for my next doll clothes. 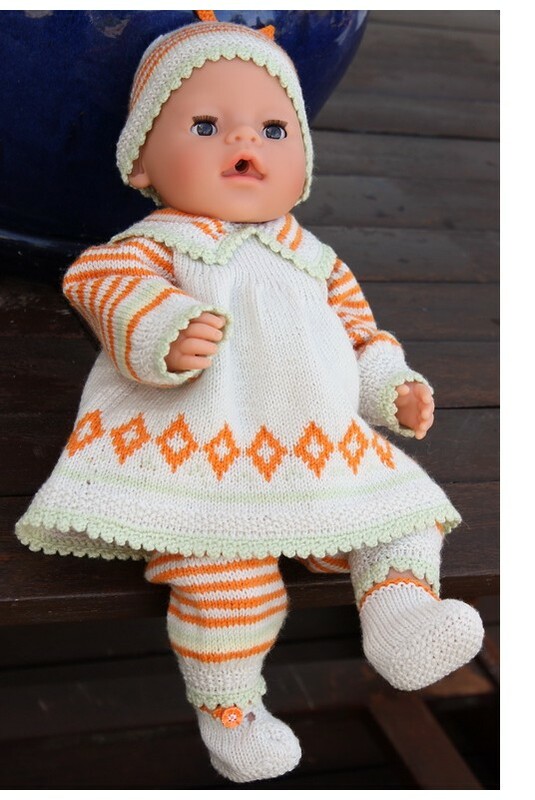 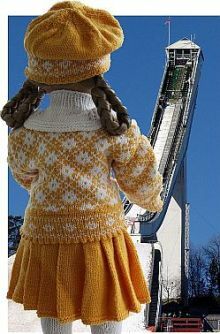 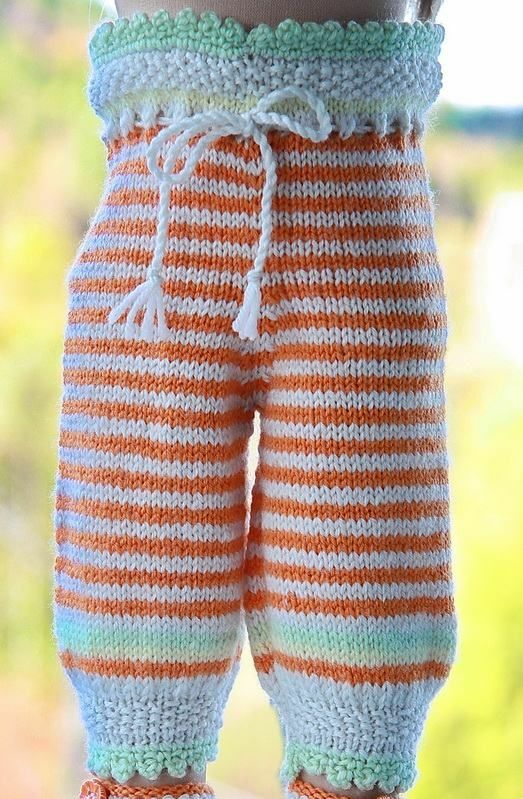 From Dale Garn (Dale Yarn) I had received beautiful yarn in putty colour and I decided that I wanted to knit some nice clothes to my doll, Gitte, and use this yarn. 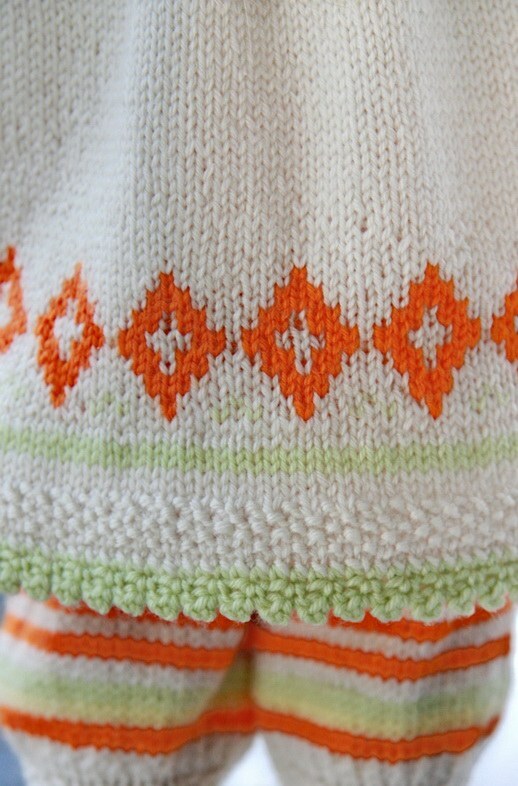 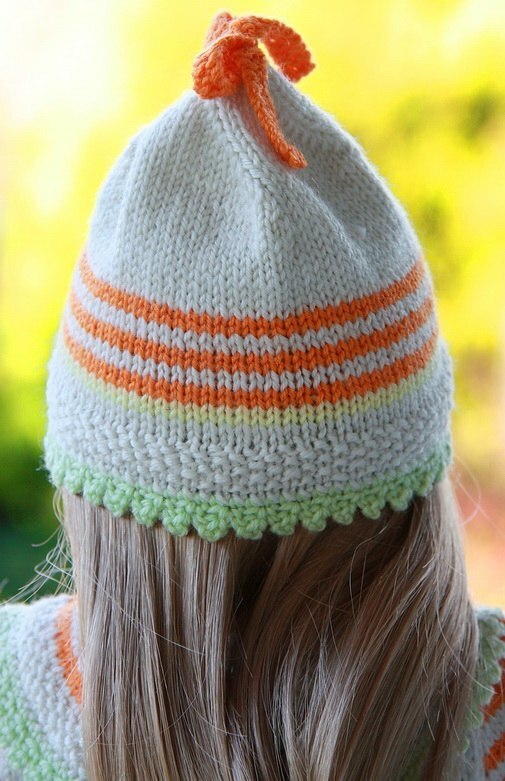 Together with this putty colour I choose orange and a little left over yarn in light green and the result was great. 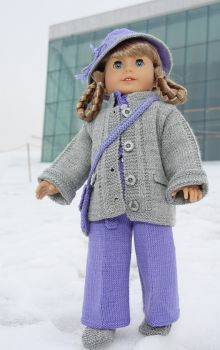 Now my doll had new clothes to use for many occasions. 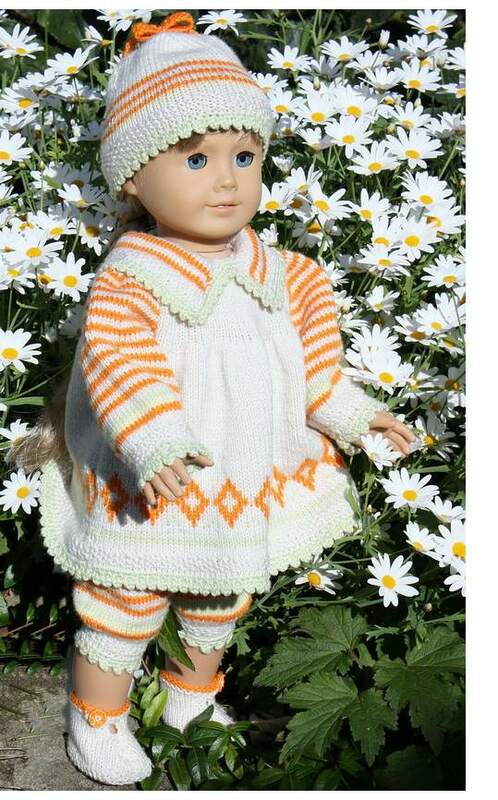 I hope you too will love to knit these clothes for your doll!Instead of using putty colour you can use a very light grey or beige colour. 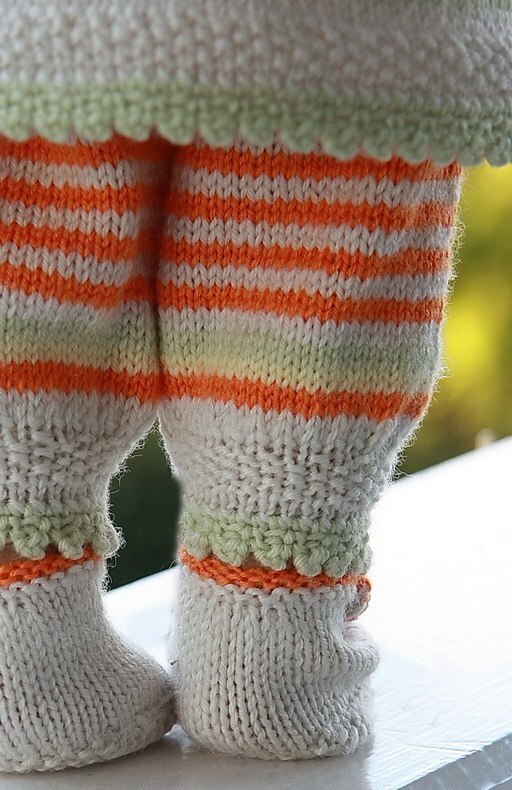 It could be that is difficult to find thin baby yarn in putty colour? 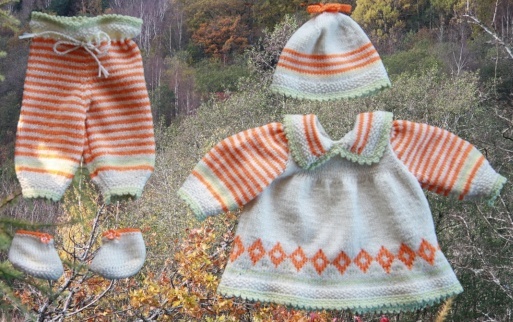 As you can see in the picture on the left fits this pattern very nicely doll baby born too.